North Carolina has one of the biggest military populations in the country. In fact, over five percent of the state’s land is owned by the government, which shouldn’t come as a surprise since there are 15 military installations located there. Among those is Marine Corps Air Station Cherry Point. Cherry Point is located in the city of Havelock and surrounded by the beautiful Croatan National Forest and the Neuse River. To help you understand just how heavy the military presence is in North Carolina, Cherry Point is located only an hour from both Camp Lejeune and MCAS New River--and those are just the Marine Corps stations! 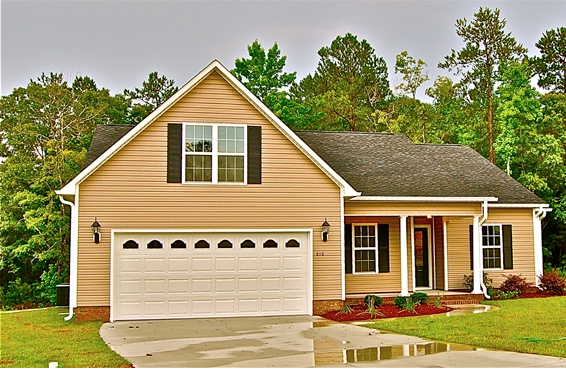 When you move to MCAS Cherry Point, NC, you have your pick of several great neighborhoods to live. Home to Cherry Point, Havelock is as close to base as you can get without living in base housing. The town itself is relatively quiet when it comes to things to do, and primarily residential with one main road leading to Walmart and a handful of chain restaurants. You have the essentials in Havelock, but if you’re wanting to make a Target run, you’ll need to drive 30 minutes to New Bern. Here's a great housing option in Havelock just a couple minutes from base. This 4-bedroom, 3-bathroom home is located just five minutes from the back gate of MCAS Cherry Point. 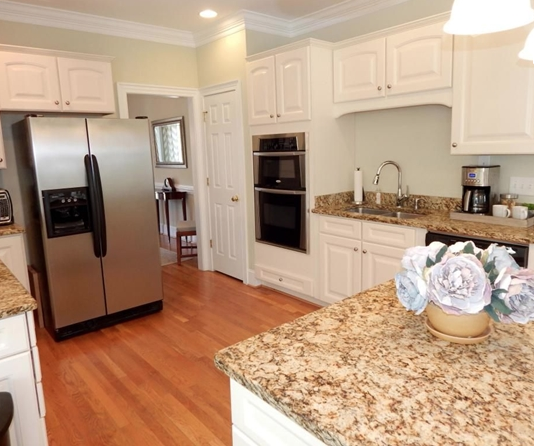 The property features an updated kitchen with stainless steel appliances, hardwood flooring throughout, and a two car garage. It’s also located near two elementary schools, making this a perfect area for families! New Bern is another great housing location near Cherry Point, about 30 minutes from the gate. What you lose in proximity to base, however, you gain in things to do. New Bern is your typical East Coast town, meaning it’s rich with history, it’s outdoorsy, and it’s beautiful. Residents enjoy spending their time on the Neuse River kayaking or canoeing and golfing at any number of the many golf clubs in the area. Living here puts you and your family just a short drive from well-known retail shops, malls, and downtown boutiques. Here’s a great housing option if you’re considering a move to New Bern. This beautiful 5-bedroom 3.5-bathroom home is located in the Taberna community and provides access to a paved walking path, nature trails, a dog park, a playground, and the Taberna Country Club. The property itself features hardwood flooring, an updated kitchen, vaulted ceilings, and a fenced-in backyard. This home is the perfect location for you to enjoy the outdoors with the rest of your community! Morehead City is a beachy town located about 40 minutes from base. Take advantage of boat tours and lazy beach days at the nearby Atlantic Beach. Morehead city is smaller than New Bern, but you do have access to several well-known retail stores as well as local beach shops. 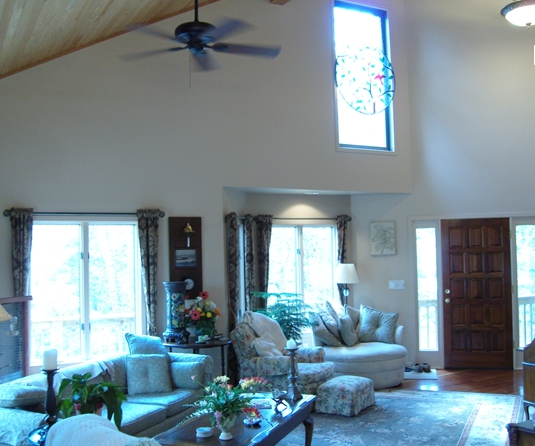 Here's an outstanding housing option to consider in Morehead City. Nestled between trees in a quiet cul-de-sac, this beautiful home offers residents privacy, a custom deck overlooking the marshlands, a park nearby, and the beach only seven minutes away. Inside, the home features granite counter tops, recently installed Brazilian cherry hardwood flooring, and vaulted ceilings. This cozy home is perfect for you and your outdoorsy family! Is a move to MCAS Cherry Point in your future? While the above homes are no longer listed, view even more listings in the area at the MilitaryByOwner MCAS Cherry Point home page.